President Muhammadu Buhari on Friday cautioned the Nigerian Armed Forces against ethnic and religious intolerance in the anti-Boko Haram war. 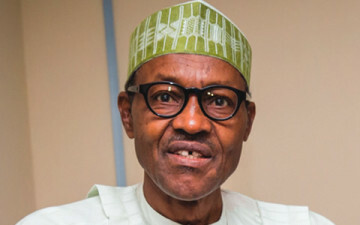 Buhari, who spoke on Friday in his address as the special guest of honour at the graduation of 174 military officers of senior course 37 of the Armed Forces Command and Staff College in Jaji, near Kaduna, said, “Always remember that ethnicity and religious intolerance are the greatest threats to our collective security as a people and as a nation. Represented by Vice-President Yemi Osinbajo, the President also reminded the military to be mindful of the “distracting and diversionary” nature of highly sensitive media environment. The President, however, added that Nigeria was committed to the maintenance of international peace and security. He said under his administration, the country would continue to collaborate with other governments to promote peace, stability and development on the African continent and beyond. Buhari, however, charged members of the Armed Forces to live up to expectations at all time while upholding the nation’s enduring legacy in global peacekeeping operations. The President said, “As members of the Armed Forces, you have a principal role to play in protecting the lives and property of our citizens.